The green woods and trails beckon. Sunlight slants down through the trees, lighting up a bush here and a palmetto there. A group of colorfully clad hikers winds its way along, led by a trained guide who stops often to point out the features and creatures they encounter. 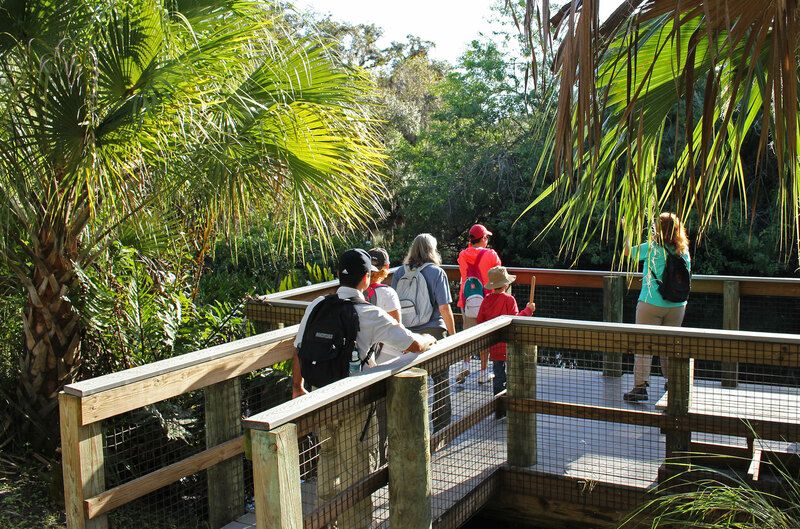 Throughout its many nature preserves, St. Lucie County offers guided hikes or paddles in its outstanding Guided Nature Program series. Last year they completed 99 programs with 979 adults and 89 young people taking part. Fifteen volunteers underwent extensive training as nature adventure leaders, donating more than 480 hours of their time to bring nature alive for participants. Hike the Jones Hammock Preserve. The programs vary, so people can always find something new. 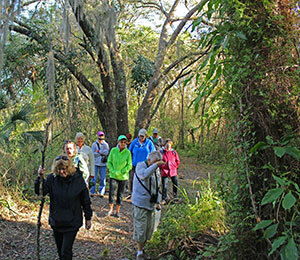 In December, for example, hikers took part in the Christmas Bird Count, learning skills they needed as they searched for birds at the George LeStrange Preserve. At the Walton Scrub Preserve, they learned how animals see at night. Participants used ultraviolet light to approximate what an animal might see. They went kayaking on Ten Mile Creek in the Richard E. Becker Preserve, learning to identify the birds, trees and flowers on the banks. In all, 17 programs were offered in December. The county’s Environmental Resources Department hosts the nature adventures. Hikes and paddles take place during the day, in the evening, on weekdays and weekends. Each program presents a different topic. "Shows off the county’s nature preserves with knowledgeable guides who discuss the history, plants and wildlife of the area. There are numerous preserves with hiking trails (and a few kayak trails), covering a large variety of ecosystems found on the Treasure Coast." "The knowledgeable hike leaders and assistants make the hikes and kayak trips fun, educational, and exciting to discover native plants and wildlife."